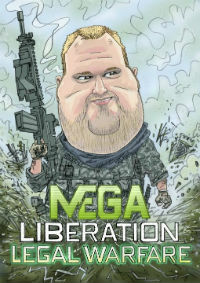 Megaupload Wins Crucial Evidence Disclosure Battle With US Govt. As widely reported, Megaupload founder Kim Dotcom and the rest of the “Mega Conspiracy” stand accused by the US Government of running a criminal operation. Charges in the indictment include engaging in a racketeering conspiracy, conspiring to commit copyright infringement, conspiring to commit money laundering, and two substantive counts of criminal copyright infringement. The prosecution is hoping to have the defendants extradited to the U.S., but following a ruling by New Zealand District Court Judge David Harvey today, this will prove to be more complicated than expected. In an 81-page decision, Judge Harvey ruled on a request from Megaupload’s legal team for the U.S. Government to reveal what evidence they have on the defendants. In other words, Megaupload wants to see the extent to which the U.S. authorities can back up their criminal charges. The U.S. Government objected to the request arguing that Megaupload doesn’t have the right to disclosure in the extradition process, but Judge Harvey disagreed. He ordered the disclosure of all documents related to the alleged criminal acts, not just those in the possession of New Zealand police, but all files held by the FBI and other U.S. authorities as well. Judge Harvey concludes with an order for the US Government to hand over all documents related to the charges within 21 days. This is a significant victory for Megaupload, and not only because they can now build a better defense against the extradition as well as any U.S trial. The comments made by Judge Harvey also suggest that without proper evidence of criminal copyright infringements against the accused, there’s not much left of the case. And as Kim Dotcom revealed earlier, this evidence might not be that strong. c There are 189 comments. Add yours?